Experience our Experience - Our Past is your Guaranteed Motoring Future! Bartons Bayside has been servicing the residents of Wynnum, Manly and the Redlands for over 73 years. 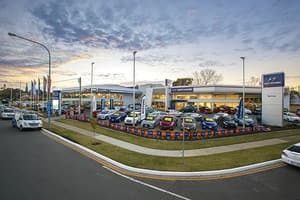 What began as a small workshop has become one of the largest family owned dealerships in Queensland. 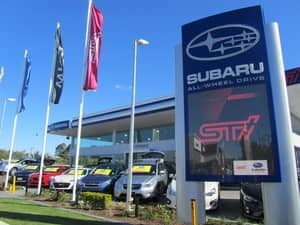 we are proud to service Hyundai, Mitsubishi, Holden, Subaru and Nissan enthusiasts alike. Our Brisbane car dealerships are more than just dealerships. Not only do we sell new and used cars, but we also offer servicing and parts replacement and have various car care services, making us the ultimate one-stop-shop. Got treated so poorly by them. After they made a mistake and messed up our cars during a routine inspection, that caused my elderly grandmother to be stranded at the side of road, she called and asked for assistance, was told she could come in once her car started again (40 degrees out and no aircon cus no turning on the car), I picked her up (fresh from chemo, should not have been driving...) and the lady at the counter, elderly women herself, was rude, disrespectful and continued to berate us even after she walked away, complaining about us to everyone who walked past her...we could still hear her. Rest assured, we will never go back and would never recommend this place to anyone, and I do hope the lady will seek out a different occupation. Hi, we are disappointed to hear about your experience with Bartons as this does not align with the standards that we strive to uphold. We appreciate your feedback, and will use it to inform our processes moving forward. Thank you. We were incredibly disappointed with the service that we have received through Bartons Holden Dealership. We brought our 2014 Holden Cruze in 6 months ago as we were having issues with our turbo. They had the car for nearly 4 weeks before they were able to fix the problem, which they eventually put through as a warrenty claim. During this time we told them that it felt as if there were issues with changing gears as the car is a manual. They assured us that nothing was wrong and the clutch was fine. Hi Christine, we are disappointed to hear about your experience as this is not usually how we operate here at Bartons. We would appreciate it if you contact us at marketing@bartons.net.au so we can further discuss your feedback to improve our services. Thank you. I bought an 8 seater hyundai imax off these guys and it is a $9000 anchor. I was told the car was serviced by them and it is stamped on the log book but unfortunately the turbo blew because the car was not serviced from what the mechanic told me. Now it is going to cost me $3000 to get it fixed. I rang the dealer and pretty much told me bad luck and they will not do anything for me. I only had the car for a month when the turbo blew and the reason why it blew is because it was not serviced. I have 6 kids and a wife and now had to cancel our xmas trip and lost the money on the hotel and cannot buy xmas presents because now i have to save the money to get the car fixed. These guys are inconsiderate and do not care. They will sell you an unreliable car so be careful. Never going to buy anything from these guys again. Ruined my whole xmas holidays. Hi Miro, we are disappointed to hear that your experience with Bartons was not as you had hoped. We appreciate your feedback as we consistently strive to improve our processes. I purchased a car from Peter Ford from interstate over the phone.He arranged everything including delivering it to the transport depot.I couldnt be more impressed.The vehicle is better than he described it. Thanks for your help Peter,I will look you up to meet in person when next in QLD. Hi Peter, thanks so much for the great review, we are so pleased to have made your experience a positive one. And definitely looking forward to meeting in person when you are next in sunny Queensland! Thanks again! I have never ever been treated so bad in all my life and would not have them service my Horse and Cart let alone my car ever again. Hi we are disappointed to hear that your experience with Bartons was not as you had hoped. If you can please provide your details to us, we will get in touch to discuss. Thanks so much.